We want to inform you that teppanyaki tables work every day exsept Monday. Contact us on 0886 66 16 14 for Edo Sushi & Teppanyaki Ring Mall. Teppanyaki is a technique for cooking on a flat grill, developed in Japan after World War II. Emphasize on fun ways of cooking and the variety of international ingredients, the style quickly gained popularity and soon spread beyond Japan. Today, guests sit around a special grill table to enjoy the chef who prepares meals before them in the form of a performance. Each chef has reserved movements – a volcano of onions, juggling with eggs and lightning slicing the meat are almost always part of the program. The greatest pleasure of the Teppanyaki is the opportunity to eat food very hot, fully cooked before your eyes, seconds ago. Make a reservation for this unique experience through our online form! Lovers of eastern food surely have heard at least once the word “teppanyaki.” This is a specific culinary technique of cooking. In teppanyaki dishes are cooked on hot flat grill (metal plate). Using this method of cooking the tastes of the various ingredients are mixed in an exceptional way, all products are made almost simultaneously. Aromas and juices of the meat and vegetables are retained because in teppanyaki cooking is by baking rather than frying. Thus prepared, the food retains all the flavor, vitamins and minerals that would otherwise be lost in traditional baking or frying. 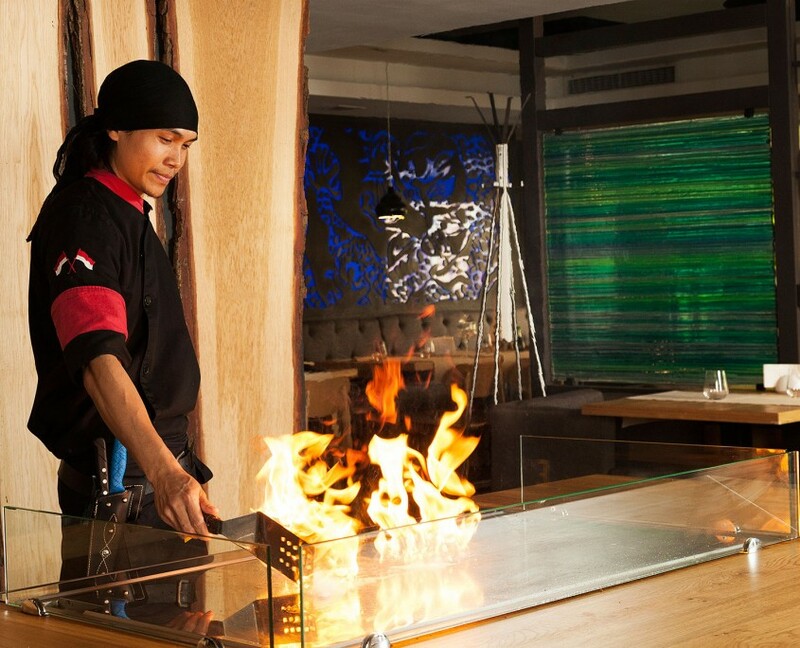 Teppanyaki dishes will provoke each chef’s true love not only towards the east kitchen, but cooking in general. Historically the method teppanyaki arises in Japanese restaurant chain known from after World War II. Preparation of traditional cuisine of flat grill in front of customers makes the restaurant popular. 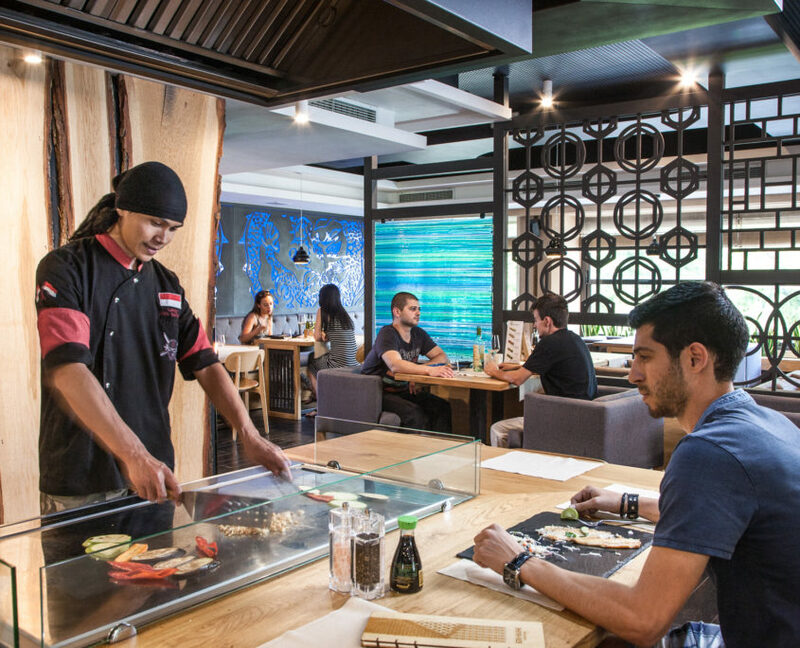 Many tourists and locals started visiting the restaurant just to see teppanyaki cooking. So teppanyaki became world famous style of cuisine. Preparing teppanyaki is not only delicious but it is very interesting. Using this culinary technique you can cook any food. The favorite of so many chefs in the world meat with vegetables acquires completely different taste, prepared in this way. The way of cooking using the teppanyaki is very curious especially if seen in a restaurant. 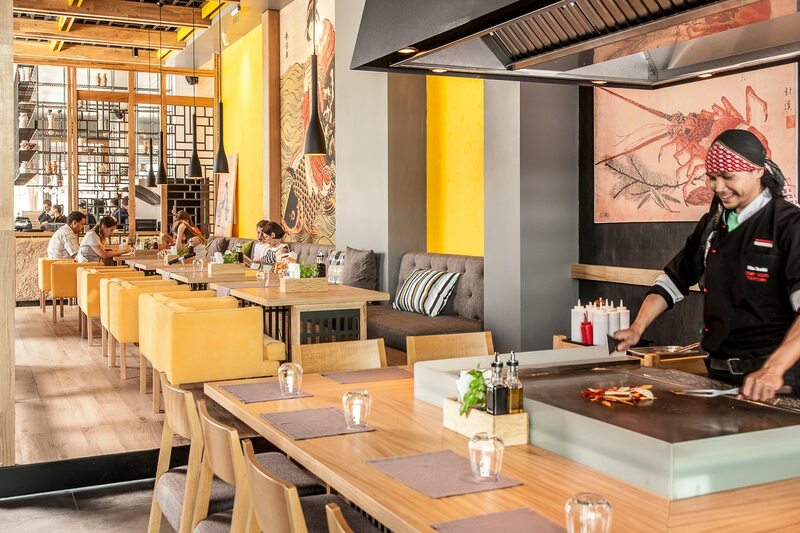 Part of Japanese restaurants offer teppanyaki cooking in front of customers, ensuring that appetizing pieces will arrive hot and melted in the mouth. The masters of this technique have maintained their own “tricks” that will always surprise you. Each artist uses his specific technique of preparing and implementing various culinary whims, which will surely increase your appetite. You will not go wrong if you try a traditional dish east as meat and vegetables as prepared by teppanyaki. Mixing flavors and juices delivers a unique pleasure in every bite, and this whole pageant is topped by example sweet and sour sauce. 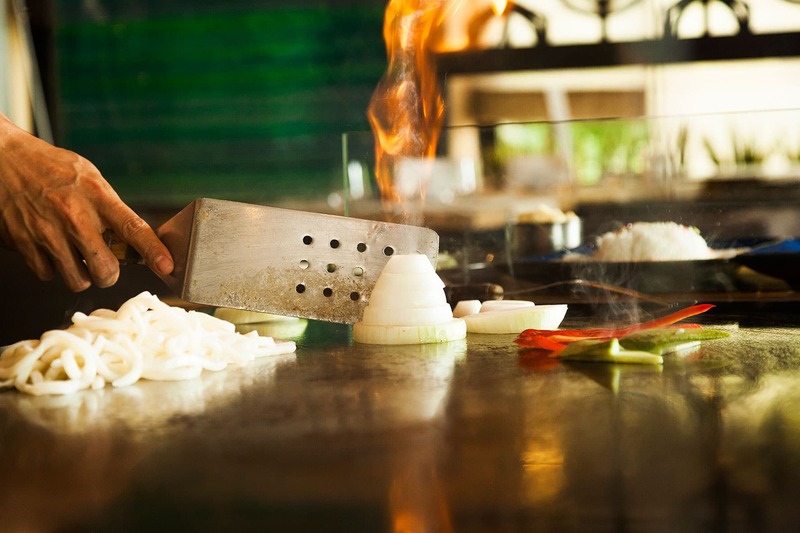 All traditional Japanese cuisine dishes can be cooked by teppanyaki without losing the traditional flavor – rather, strengthens the feeling of all products in the dish. The secret of the exceptional taste is due primarily to the selection of meat – used only the – fragile. Slices must be thin and delicate to be easily baked. Every meal becomes more delicious when is added the appropriate sauce, the most – used remains soy.